High profit margin on all products! Profit is high because all products are sourced from direct suppliers worldwide, not middlemen. 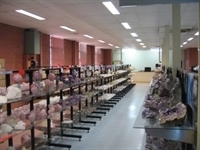 All products are sort after by the public, who love having natural stone products in their lives. And by many shops, supplied by NW, who resell to this vast buying public! This is an ideal business to have if you want a good living. Semiprecious stones/specimens never go down in value, so buy this business for stock(A$2M estimated), land development profit(A$15M estimated), big modern dwelling and permanent business visa for buyer & family and you will do really well! 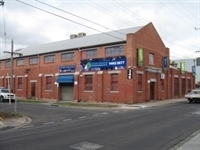 NATURE’S WORKSHOP is the ideal READY TO GO purchase for any business investor looking to buy the oldest rock/semiprecious stone business in Australia. Buying NATURE’S WORKSHOP gives a long-established business with many walk-in clients plus full stock, 2 highly productive websites plus ongoing support! Plus the possibility of permanent Australian resident visa for the buyer & family. 1) Keep the business where it is for any length of time. 2) Or move the business, develop the land yourself, and make an estimated A$15M. NATURE’S WORKSHOP has trade secrets that any buyer would love to have ... unique best priced sources & product processes that set it apart and make it extra profitable to a business buyer. However, the directors of NATURE’S WORKSHOP near retirement age, but retiring will not happen until NATURE’S WORKSHOP sells as a business. + All sales stock relating to the business of NATURE’S WORKSHOP, estimated value around A$2M. 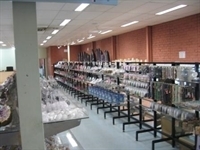 + All physical items such as display stands, fittings, etc. + All background knowledge, trade secrets and help/advice on a continuing basis for as long as necessary. + Good will = existing clients. TOTAL PRICE = A$9 million, not negotiable, with 1200mt2 land, big modern dwelling, buildings, stock, everything = a walk out/walk in total price, which makes the buyer an estimated A$15M to A$20M. •	This very profitable buy is secured by a 10% holding deposit, not negotiable, remaining 90% paid at an agreed time within say 12 months. •	Some potential buyers are considering partnerships to buy NATURE'S WORKSHOP. NW has 2 highly productive websites. One site is the biggest crystals/mineral specimen sales site in the World, with many popup promotions on the net, bringing in many sales a day. The other promotes the physical shop, bringing in many direct sales a day. A new owner with experience, knowing what the market wants and the knowledge of sources that Peter Hunt can give, is sure to create an even more profitable local & import/export “stones” business ... Australia has the best economy in the world and Australians love stones! Please read completely all this BFS ad as it answers most questions, then if questions remain the seller is happy to help. Most questions will be answered but those which ask intrusive questions can only be answered after proving they are genuine buyers. PLEASE ALSO NOTE THAT ... BFS ads are replied to by too many scammers, who have been detected by the seller and their access to BFS blocked, scammers beware! To discuss, contact PETER HUNT, through this ad. Wide open plan living with exposed wood beams and up to 6 existing bedrooms with several more possible. Two side by side buildings. One side, ground floor is showroom & office, upper floor is spacious modern dwelling with up to 6 bedrooms, open living with exposed wood beams. Other side is big warehouse. Shipments of new products come in as needed. So NW is seen as a very active business, ready for a buyer to step into. NATURE'S WORKSHOP actually supplies some competitors with product. Other competitors are too small to be a concern. Wholesale & retail buyers know, from checking other suppliers, that NW has a wide range of products at best prices, so do not go elsewhere. Current owners/directors will help new owners with anything as long as necessary.